Bow To Each Other is an award winning Norwegian-Canadian indie pop duo. The band consists of Gunhild Ramsay Kristoffersen from Karmøy, Norway, and Megan Kovacs from Toronto, Canada, both based in Oslo. Megan is a songwriter, keyboardist and vocalist, while Gunhild is an arranger, programmer, keyboardist and vocalist. The band was formed when the two moved to Norway in 2010 after having lived in Liverpool for several years, where they both studied at LIPA. Bow To Each Other received a lot of attention for their debut album The Urge Drums, which was released in January 2014 on Jansen Plateproduksjon and was produced by Susanne Sundfør. It received 5 out of 6 stars in many of the main newspapers in Norway, including Dagens Næringsliv who wrote “Norwegian-Canadian stroke of luck” in their enthusiastic review, and Gaffa gave it a 6/6 and called it ”Stylishly strong, electronic pop elegance”. The single ”Darkness” was A-listed for a long time at NRK P3. Dagbladet, Gaffa, Øya and Musikknyheter.no had The Urge Drums on their lists for the 20 best Norwegian albums of 2014. Bow To Each Other also had a prolific concert year in 2014, with appearances at Bergenfest and Øyafestivalen as the highlights. 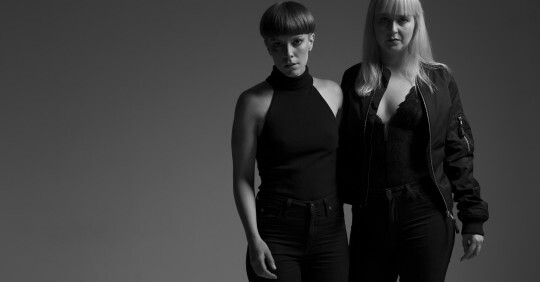 Their second album, My Heart Is A Target, won a Norwegian Grammy for best pop group in 2015 and earlier this year they supported Susanne Sundfør on her Norwegian release tour.